The Nigerian Economic Society held its 57th Annual Conference at the Nicon Luxury Hotel, Abuja from September 27-29, 2016, with the broad theme: The Developmental State and Diversification of the Nigerian Economy. In attendance were Fellows of the Society, top government officials, especially from the CBN, Federal Ministries of Budget and National Planning, Mines and Steel Development, the President of the AfDB, and lead economist at the World Bank, Dr. Vasco Molini, and representatives of other development partners as well as members of the Society. The Conference was declared open by the President and Commander in Chief of the Nigerian Armed Forces, General Muhamadu Buhari (GCFR), who was ably represented by the Honourable Minister of Budget and National Planning, Senator Udoma Udo Udoma. The keynote address titled â��Solid Minerals and Diversification of the Nigerian Economyâ�� was delivered by the Honourable Minister of Mines and Steel Development, Dr. Kayode Fayemi. In all fifty papers, comprising five in the plenary sessions and forty five in the concurrent sessions covering a wide range of topics and issues related to the theme of the conference were presented. 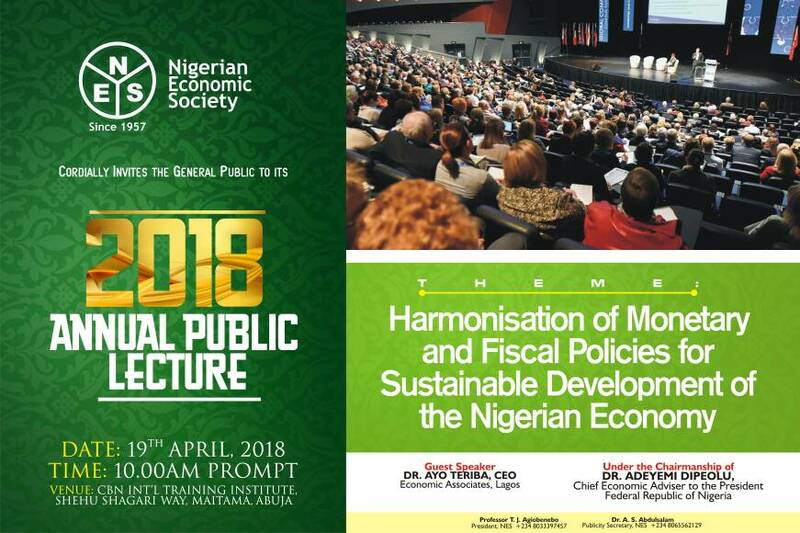 On the whole, participants observed that the theme of the conference was very germane and could not have come at a better time as the economy is currently going through a recession. (a)	The desire of government to diversify the economy is a welcome development given the countryâ��s unpleasant experience in depending on one major product for its sustenance. However, diversification is multi-dimensional in nature, encompassing product diversification, export/market diversification and diversification of sources of income. Government should take this into account as it embarks on this initiative. (b)	There is need to alter the structure of production in favour of agriculture, manufacturing and thereafter, services, given that the desired structure and nature of diversification should be clear, in view of the fact that diversification is a multi-dimensional concept. (c)	Nigeria urgently needs to redress the atypical transformation from agriculture to services through revamping manufacturing (including SMEs) and modernizing the agricultural sector with emphasis on its value chain. (d)	Following the examples of successful developmental states such as the Asian tigers (South Korea, Singapore, Taiwan and Malaysia), Nigeria needs to evolve a leadership that accords economic development priority attention. (e)	Economic diversification is a longterm process that needs to be carefully planned for, by the government in collaboration with stakeholders. Countries, such as Malaysia, that have successfully diversified their economies had long-term plans in place which provided the foundation for their success. Other countries such as Saudi Arabia and Oman have also initiated diversification plans to weather the adverse impact of volatility in the crude oil market. 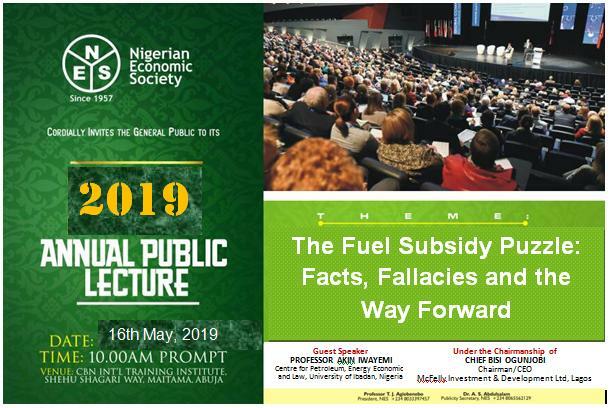 (f)	Diversification does not imply ignoring the current drivers of the economy; in this regard creating a strong and viable value chain in the upstream and downstream sub-sectors of the petroleum industry as well as introducing free market mechanism in the sector is imperative. Thus, the Senate should speedily pass the Petroleum Industry Bill (PIB) to provide the overarching framework for orderly development and diversification of the sector. (g)	The reality of low oil prices should be taken as the new normal. In addition, the fact that Nigeriaâ��s non-oil revenue, which currently stands at a paltry 4 percent of the GDP is one of the lowest in the world means that fiscal arrangement needs to be fundamentally changed from routine sharing of the commonwealth in Abuja to enhancing fiscal federalism. Amending the Constitution to make this possible is strongly advised. (h)	National and sub-national governments are encouraged to return to short-term, medium-term and long-term development plans and to institutionalize these plans in the budget process. (i)	Building strong political and economic institutions that support economic diversification has become necessary. In addition, scaling up the capacity of public agencies responsible for economic management should be vigorously entrenched. In this regard measurable indicators of performance in the public and civil service as well as government businesses should be provided. (j)	Government needs to reform the dysfunctional educational system to deepen the skills and quality of human resources required for economic diversification. Hence there is the need to massively invest in all forms of education, formal and informal, vocational and technical as necessary preconditions for success. (k)	Sustaining macroeconomic stability and a more robust coordination by the monetary and fiscal authorities will facilitate economic diversification. (l)	Scaling up investment in infrastructure, both economic and social, and in research and development as well as information and communications technology are considered sine qua non for diversification.